The breakfast begins at 8:30 a.m. at the Holiday Inn on Electronics Parkway in Salina. Tickets are $25 and are available by contacting Pat Rector at the Occupational Health Clinic,rectorp@upstate.edu, or 432-8899, ext. 127. Proceeds from the dinner will support the work of the Workers’ Center of CNY. Congratulations to Wally Reardon, who is a member of the Leadership Team of the Workers’ Center. 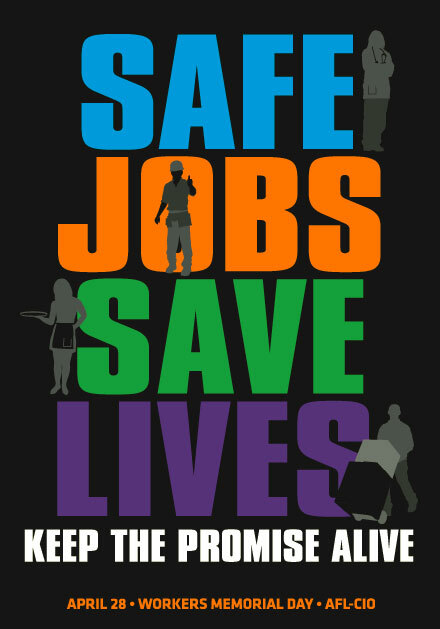 Thanks so much for all you do for workers’ safety!